Professor John Hailey has extensive international experience researching and consulting with development agencies and international organisations in over fifty different countries, including INGOs, United Nations agencies, donors and philanthropic foundations. 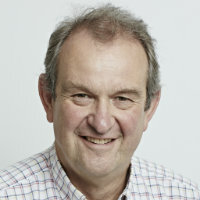 John teaches on Cass's MBA and MSc programmes, and he is Director of the MSc in NGO Management. This is a postgraduate course designed for the staff or trustees of International NGOs. He was one of the founders of the Oxford-based International NGO Training and Research Centre (INTRAC). He is a trustee of the Nairobi-based Pan-African NGO, ACORD, as well as the London-based Institute for Voluntary Action Research (IVAR). His consulting work with development agencies focuses on strategic planning, organisation development and change, governance and leadership development, evaluations and organisational assessments. Recent international commissions include work with foundations (Gates,Porticus) official donors (AusAid, DFID, IrishAid, USAID); multilateral agencies (AATF, FAO, GFAR); International NGOs (Acord, ActionAid, Concern, CWM, IFRC, Save the Children); Human Rights Organisations (Amnesty International, Danish Institute of Human Rights, Transparency International. Professor Hailey's teaching experience includes running specialist courses on NGO management, as well as teaching MBA courses on international and cross-cultural management, globalisation and corporate social responsibility. He teaches cross-cultural management on Cass's MBA programme, and has run a specialist course on Ethics, Society and the Financial Sector on its MSc programme. He has also run a number leadership development and management training programmes for senior staff of INGOs and the United Nations. John is an alumnus of Cass and was in the first cohort of students in the 1970s to be awarded an MBA by City University. He has a PhD from the University of Queensland in Australia, as well as a post-graduate teaching qualification. Formerly, he was Professor of International Management and Deputy Director of Oxford Brookes University Business School, Director of the International Development Centre at Cranfield School of Management, and a Research Fellow at the East West Center in Hawaii. His publications include sixteen books and book chapters, twenty articles in refereed journals, and over forty conference papers. His current research has been focused on the leadership and management of NGOs and non-profits, and the strategic issues facing development agencies generally. He is currently working on trends in the governance and organisational structures of international NGOs. Hailey, J.M. and James, R. (2008). Capacity Building for NGOs: making it work. Oxford: INTRAC. ISBN 978-1-905240-16-6. Hailey, J.M. and Smillie, I. (2001). Managing for Change: Leadership, Startegy and Management in Asian NGOs. London: Earthscan. ISBN 978-1-85383-721-0. Hailey, J. and Harry, W. (2008). Localization: A strategic response to globalization. International Human Resource Management: A European Perspective: Second Edition (pp. 19–38). ISBN 978-0-203-89139-1. Hailey, J. and Salway, M. (2016). New routes to CSO sustainability: the strategic shift to social enterprise and social investment. Development in Practice, 26(5), pp. 580–591. doi:10.1080/09614524.2016.1188886 . Hailey, J.M. and James, R. (2004). Trees Die From The Top: International Perspectives on NGO Leadership Development. Voluntas, 15(4), pp. 343–353. doi:10.1007/s11266-004-1236-8 . Hailey, J. (2003). Handbook on development policy and management edited by COLIN KIRKPATRICK, RON CLARKE and CHARLES POLIDANO. (Cheltenham: Edward Elgar, 2002, pp. 480). Journal of International Development, 15(5), pp. 662–663. Hailey, J.M. and James, R. (2002). Learning Leaders: The Key to Learning Organisations. Development in Practice, Volume 12 - Development and the Learning Organisation(3 - 4). doi:10.1080/0961450220149753 . Hailey, J. (1998). Management education for sustainable development. Sustainable Development, 6(1), pp. 40–48. Hailey, J.M. (2009). Capacity Development: Issues and Challenges. Rome: World Food Programme. Hailey, J.M. (2006). NGO Leadership Development. Oxford: INTRAC. Hailey, J.M., James, R. and Wrigley, R. (2005). Rising to the Challenges: Assessing the Impact of Organisational Capacity Building. Oxford: INTRAC. Development in Practice, Member of Editorial Board, 2000 – present. International Journal of Cross Cultural Management, Member of Editorial Board, 2000 – present. Une formation ethique et finance au coeur de la City. (2012) www.lemonde-emploi.blog.lemonde.fr (website). War Games by Linda Polman. (2010) Charity Times. New NGO Management is a go-go. (2008) Guardian (newspaper). NGOs and business education. (2008) www.economist.com (website). I master puntano sul fattore personale. (2008) Corriere Della Sera (newspaper). Managing goodwill. (2008) www.economist.com (website).